The Carnegie Mellon University Alumni Association (CMUAA), in conjunction with the Alumni Association Board, develops meaningful ways to help you connect with the Carnegie Mellon alumni community, current students and the university. We're here to listen, share information and resources, and offer a wide array of meaningful volunteer roles to you and all Tartans around the world. 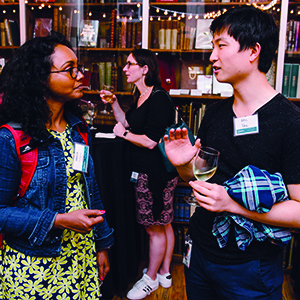 Through regional chapter organizations, class and reunion committees, alumni interest groups and college and school alumni activities, your relationship with Carnegie Mellon University will continue to grow well past your graduation day. The vision of the Alumni Association is a global university community in which all members engage with each other and Carnegie Mellon. 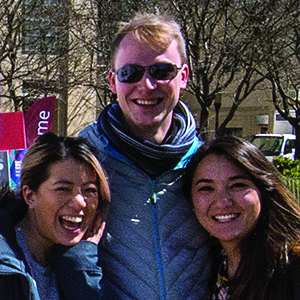 The Alumni Association's mission is to cultivate a culture of engagement and philanthropy within Carnegie Mellon University’s global community. The Alumni Association is a member of the Scotty Goes Green program.